Objective: Drive media buzz surrounding the launch of the new collaboration between ORLY Nails and Laverne Cox - a limited edition six-piece collection. Strategy: Coinciding the launch with the 2017 Emmy awards, Wetherly coordinated for Laverne Cox to showcase the new collection via her manicure on the red carpet and worked to secure press placements surrounding the look through short-lead outreach and media interviews. Results: Wetherly secured 46 digital placements and 3 print placements on the launch of the ORLY x Laverne Cox Celebrate Yourself Collection, garnering over 7 billion impressions. Strategy: Host short-lead editors and bloggers to preview hero products, newness for Spring, and meet the founder at desksides and Wetherly spring preview. Objective: Continue to elevate Lancer Skincare by ensuring both the brand and Dr. Lancer are synonymous with celebrities and awards season, especially in regards to Dr. Lancer’s Hollywood Beauty Award win. Strategy: Streamlined outreach to ensure media coverage is top tier along with thoughtful pitch angle curation that puts Dr. Lancer at the forefront of skincare + dermatology topics. Tactics: Wetherly worked to target key outlets, including print, digital and broadcast, on a national and regional level to best support the practice; also crafted a tailored list of celebrities and influencers to invite into the clinic for a complimentary treatment. 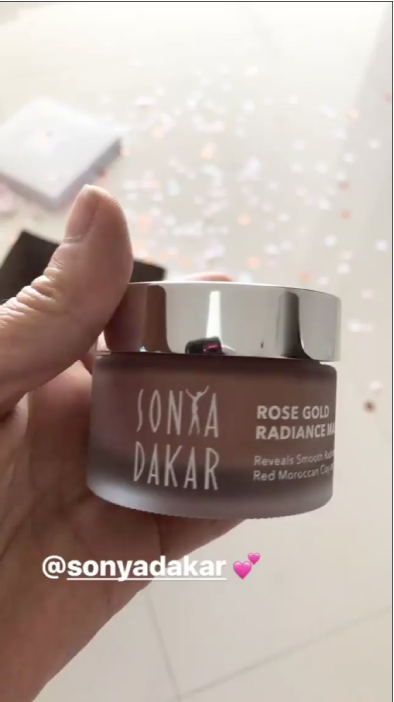 Objective: Launch Sonya Dakar’s the new Rose Gold Radiance Mask to beauty editors, influencers and VIPS in both NYC and LA - highlighting the product’s points of difference including color, skin benefits and key ingredients. 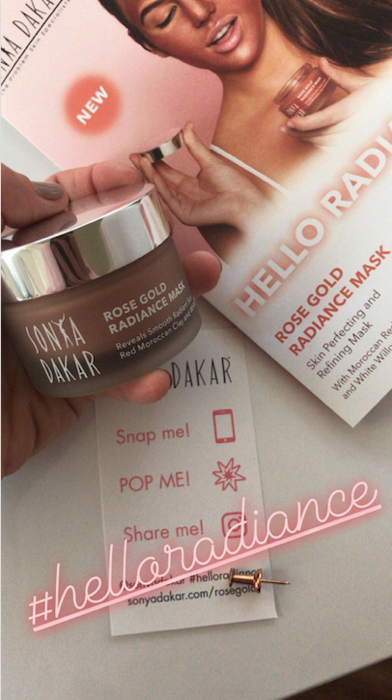 Strategy: Wetherly secured an exclusive with Allure.com and ideated a creative, interactive delivery where the new product was placed within a rose gold balloon filled with confetti. Recipients were then instructed via collateral to pop, share and reveal Sonya’s latest innovation – setting them up for the perfect social shot. Results: Over 35 organic social posts including @LeaMichele (5.1M followers), @LaurenBushnell (1.2 M followers) @TeddiMellencamp (369k followers) and top beauty editors at Health, Real Simple, Bustle, ELLE, US Weekly and Teen Vogue. The launch garnered 3.5M media impressions and approx. 17 million social media impressions. Objective: Drive consumer awareness for the Blackwood For Men “Blackwood Friday” sale. 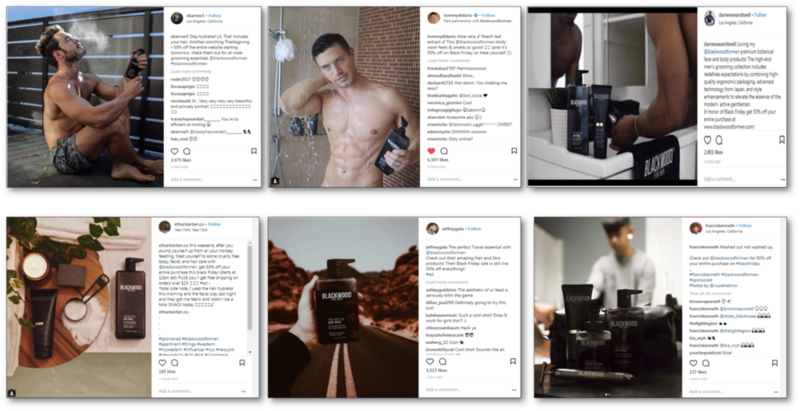 Strategy: Wetherly executed a micro-influencer campaign with six grooming influencers, showcasing Blackwood For Men products in a unique voice tailored to each of their channels and communicated the Blackwood For Men “Black Friday” sale, driving to the BlackwoodForMen.com website. Results: 10 social media hits totaling to over 424, 900 social impressions and a diverse arsenal of male focused social content for re-purposing on Blackwood For Men’s social channels.